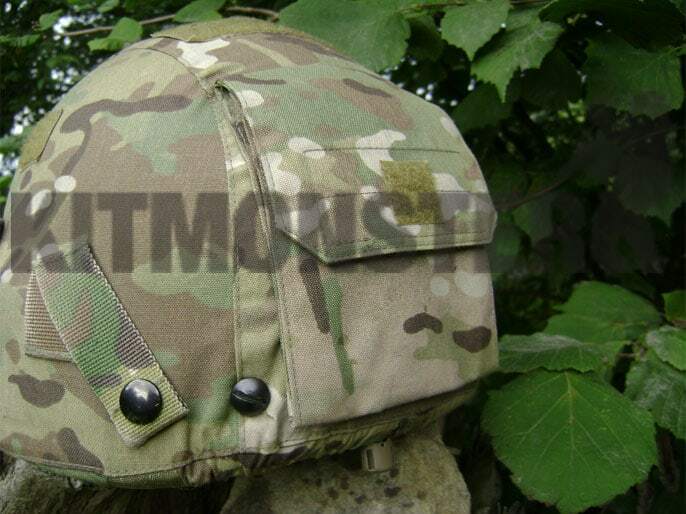 Genuine Crye Precision helmet cover for UKSF Gentex, and US issue MICH and ACH Helmets. 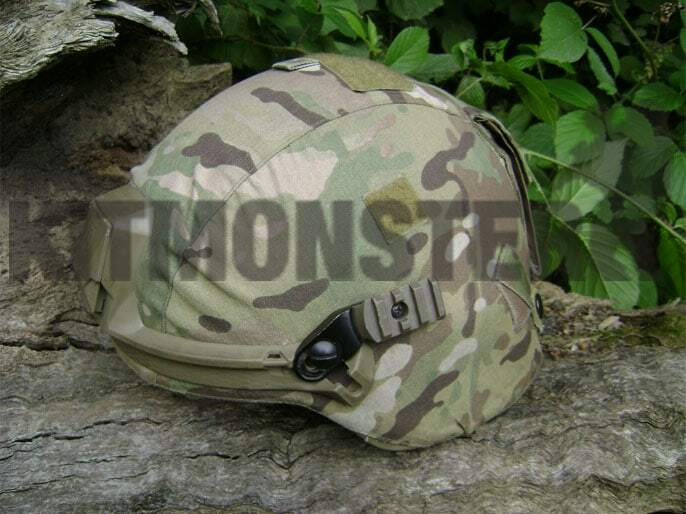 These will fit VIRTUS Revision helmets, as shown, if you go a size up, IE large cover fits medium helmet, rails and NVG fitting will need to be removed first. The Velcro straps on these covers will work with the internal Velcro on the VIRTUS Revision helmet. These are close fit on VIRTUS but do work. Ex UKSF issue kit, obtained from UK Military disposals, all stock is new in the manufacturer's bag. No longer in production, these retailed for over $50.00 in the US. 300D Cordura fabric, 4 Velcro panels for IFF markers or other patches, strip on top is just right for our Mockingbird strobe straps. 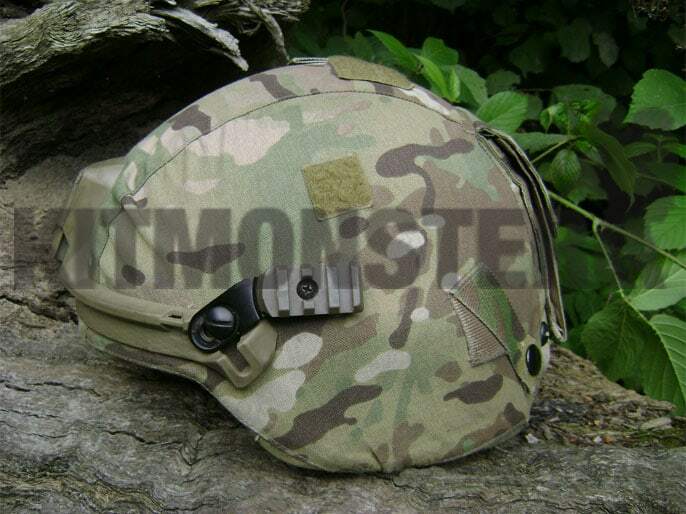 Reinforced front panel, twin goggles strap retainers, counterweight pocket on rear with Velcro closure. Cover fits with Velcro strips and drawcord adjuster. 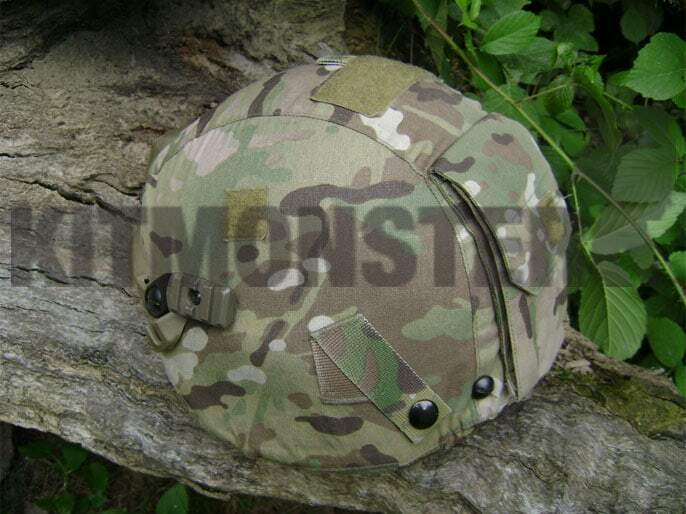 Available in size large from this listing, these will fit medium or small sized Revision battleskin (VIRTUS) helmets. 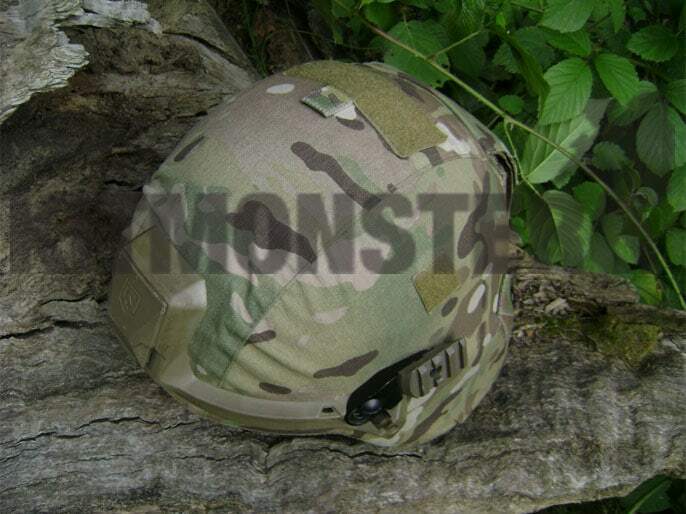 The size refers to US MICH or ACH helmet sizes, not UK sizes. *To fit these to VIRTUS helmets we recommend using the NVG mount reinforcing panel on the cover to centralise it on the helmet. Cut a hole for the front screw, using the sewn grid on the cover as a guide, then mark and cut holes for the side screws. We put a pin through the screw holes from inside to get the right spots. There is no need to fit the rear screws through the cover unless you really want to, these can be fitted before putting on the cover. Be aware the rear of the cover is reinforced with a webbing strap and may be challenging to cut cleanly for the screws. 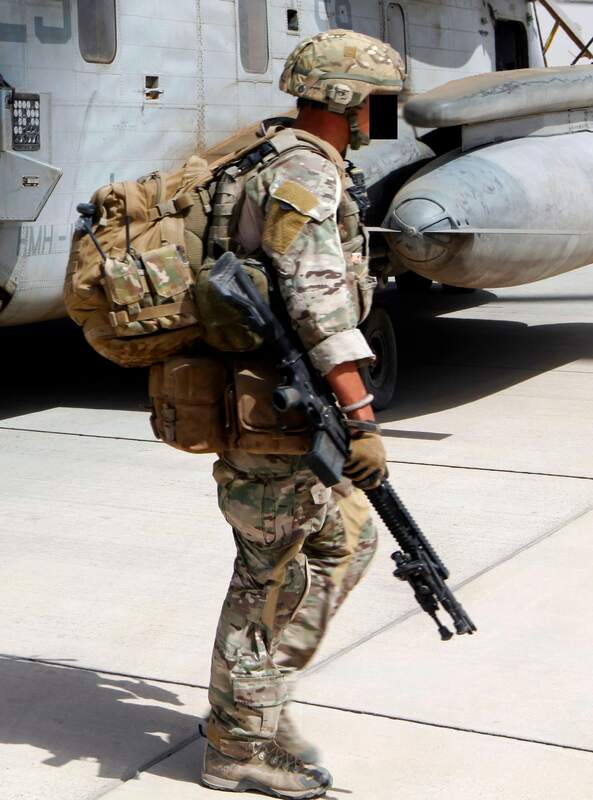 Final image shows this cover in use with a member of UK SFSG, Special Forces Support Group, using a Gen Tex ACH type helmet, photo' credit unknown. Multiple views shown to illustrate features, single empty cover supplied. Shown fitted to UK issue VIRTUS helmet, this is not included, we do not have any VIRTUS helmets available.